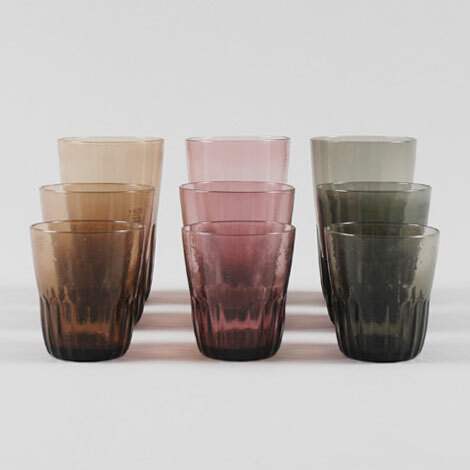 Colored multiuse glass tumblers. Perfect for everything from iced coffee to wine. Comes in three colors and 2 sizes: rose, amber and grey.